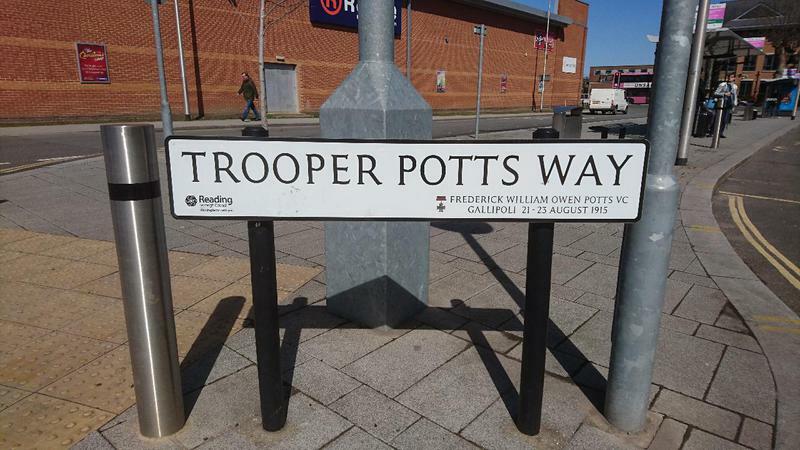 A street renamed in memory of Trooper Frederick Potts VC, with an associated road sign. TROPPER POTTS WAY/ FREDERICK WILLIAM OWEN POTTS VC/ GALLIPOLI 21 - 23 AUGUST 1915. 'POTTS Frederick William Owen', Monuments to Courage: Victoria Cross Headstones and Memorials, David Harvey (1999), p. 347.